Bleed Valves: Reduce Air Pressure and Increase Your Air Pump’s Life! An air pump that is too powerful can wreak havoc in your aquarium. When attached to a sponge filter, it can cause a current strong enough to stress fish that prefer calm water. Or, maybe it’s causing your airstone to work overtime, producing so many bubbles that you can’t see your fish. Somehow, you need to reduce the airflow coming from your air pump! Ordinarily, you would reach for an airline control valve, right? Well, it turns out that while you can use an airline control valve to reduce the airflow, it also increases backpressure on the air pump side of the valve. And when this happens, it can dramatically reduce the life of your air pump, causing the diaphragm inside to tear prematurely. That is why many hobbyists use a bleed valve instead. And today, I am going to teach you all about it. 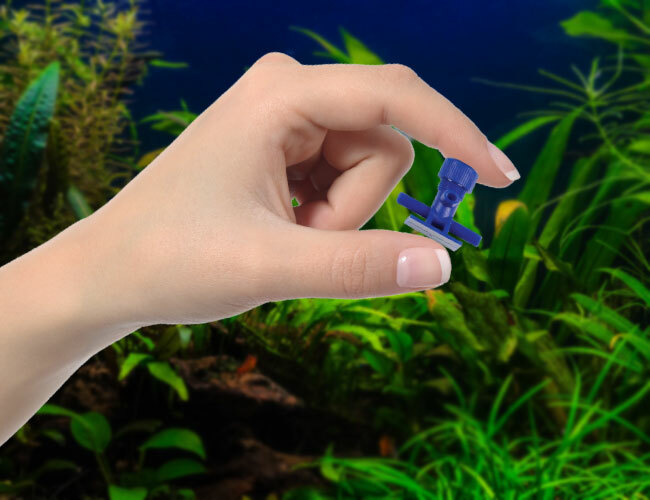 What is an aquarium bleed valve? Where do you find a bleed valve? < h2 id="what-is-aquarium-bleed-valve">What is an aquarium bleed valve? A bleed valve refers to any air fitting that sits inline on your airline tubing and allows you to bleed off air, reducing the pressure of the airflow. Think of a bleed valve as a deliberate leak – one that you control. 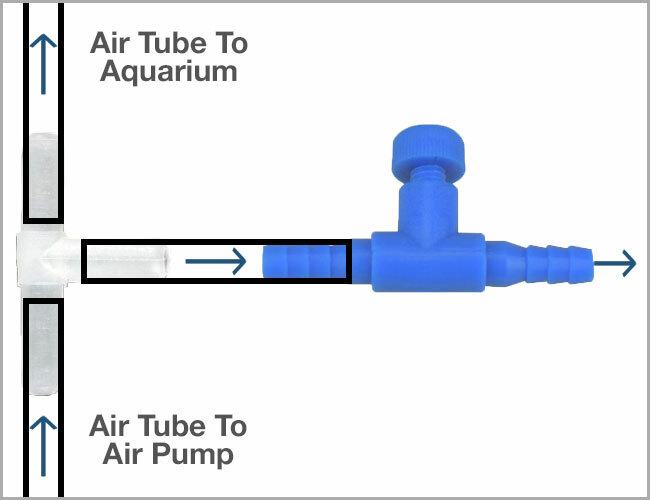 Instead of your air pump sending a super powerful stream of air into your aquarium, part of it escapes through the bleed valve. The result is a gentler airflow reaching your tank. When installing a bleed valve, it is important that it is installed before the check valve. Otherwise, the check valve will fail to protect your tank. While bleed valve fittings exist, they are difficult to track down. A bleed valve is essentially just a 3-way connector and airline control valve combined in a single unit. 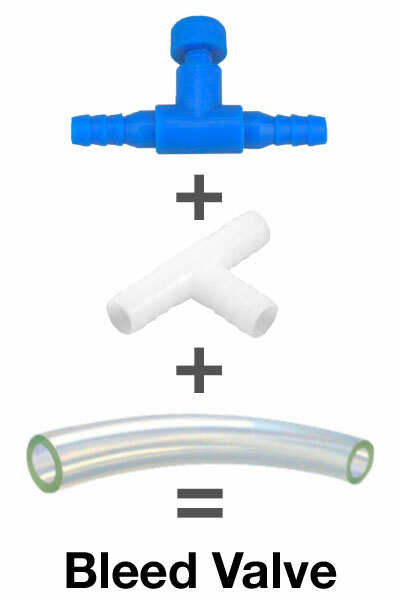 So, use these air fittings separately to create your own bleed valve. An easy DIY project! You can now adjust the air pressure using the air control valve. Tighten the control valve to create more pressure or release it for weaker airflow. Alternatively, you could always use a 2-way gang valve, but I find that the pieces above are much easier to come across and are cheaper too. Now, I must warn you that bleed valves can create a pssssssss sound as the air leaves the valve. Just how annoying you find this entirely depends on how sensitive your hearing is and where your aquarium is located. Some people don’t notice it at all, while others claim it sounds like a snake hissing in their ear. If the sound of air escaping the bleed valve drives you crazy, you have two options. First, take another length of air tube and attach it to the air control valve. Use this length of tube to direct the air in a different direction, which makes the noise less noticeable. Alternatively, you can attach an “out-of-aquarium” airstone, which is quieter. Do you use a bleed valve on your airline? Let me know in the comments below! Hi. Quick question as I am a little confused on what goes where. Does the check valve go before or after the bleed valve with the control valve attached to the bleed valve? As of now, the tubing from my air pump is going to a check valve. From there, it is connected to a control valve and to the airstone. However, the stone is making slight squealing sounds and I am assuming that my 1.5 watt is giving off too much pressure for the small airstone. Air pump > bleed valve with control valve attached > check valve > airstone. Good question. The check valve should be the last thing that air flows through before it enters your tank. So in this case, the check valve would go just before the airstone. Otherwise you risk water siphoning out of the bleed valve you have created. Great article! I’ll be setting up my tank air line asap. BTW I have a dual outlet Active Aqua pump. Do you happen to know it they employ dual diaphragm or just a single? I have reviewed over 60 different air pumps but none of them were the Active Aqua brand. unfortunately, I cannot help you here. So I have a 2 way gang valve is that ok or do I still need a bleed valve? If you leave one of the outlets on your gang valve partially open, it’s essentially the same as a bleed valve. My brother bought a big aquarium for his children because they like fishes. It was explained here that the air pump can wreck a havoc in the aquarium. Air pumps are a safe and reliable piece of aquarium equipment. In fact, airstones, driven by air pumps are commonly found on beginner tanks and rarely causes any issues.